I would have never believed that one small piece of gear would make such a big difference in my podcasting studio. But the Roland OP-MSA1 has made a huge positive impact on my podcasting workflow. What is the OP-MSA1, you ask? It is a microphone stand adapter (or adaptor, as the box says); a simple little device made by Roland especially for the R-05 Digital Audio Recorder. 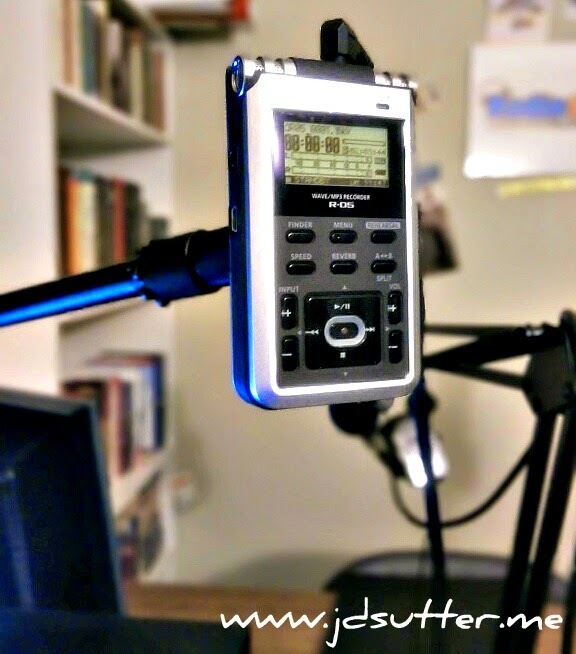 It allows me to connect my digital recorder to any standard microphone stand. In my case I have it attached to a regular three-legged floor boom stand. The reason this little device has made such an impact is two-fold. First, it allows me to get one more piece of gear off of my desktop which gives me a bit more room. I really don't like a cluttered desk so this is a bonus for me. The second reason is that with the recorder attached to the boom stand, it is now at eye level which makes it much easier to monitor audio levels during recording. I can also check the duration of the recording session at a glance and perhaps most important, I can see that I have indeed hit the "record" button. Come on, you know you've forgotten that before too. 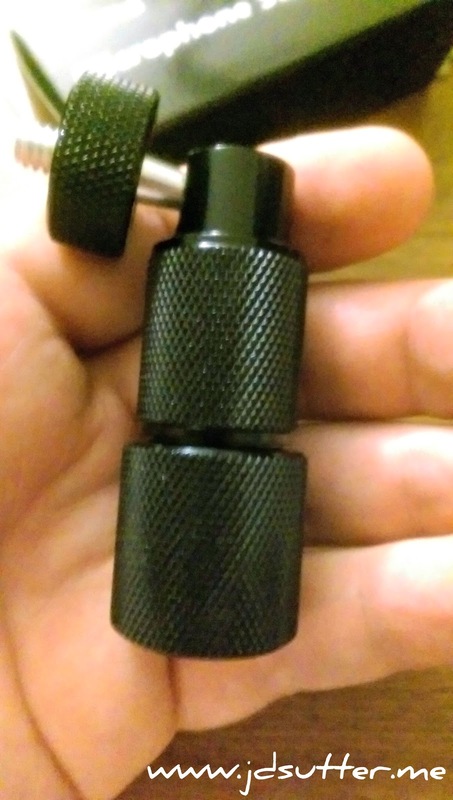 The adapter comes with it's own little 5/8" to 3/8" adapter for the mic stand as well, so you can be sure it'll thread onto almost any microphone stand. 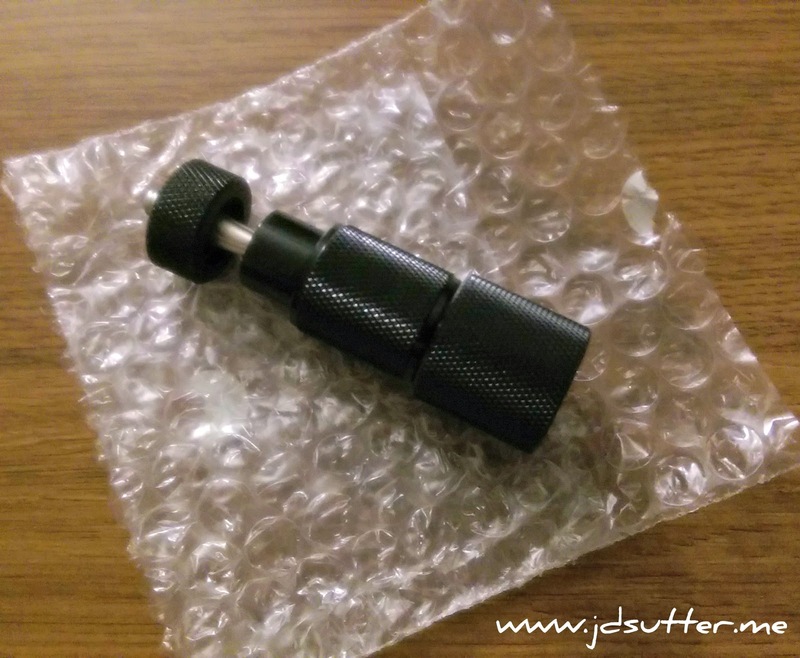 The head of the adapter has a ball-joint so you can place your recorder in any direction you wish. The adapter end which connects to the audio recorder is a standard 1/4" male connection so it may work with other recorder models in addition to the Roland and Edirol ones that it was designed for. 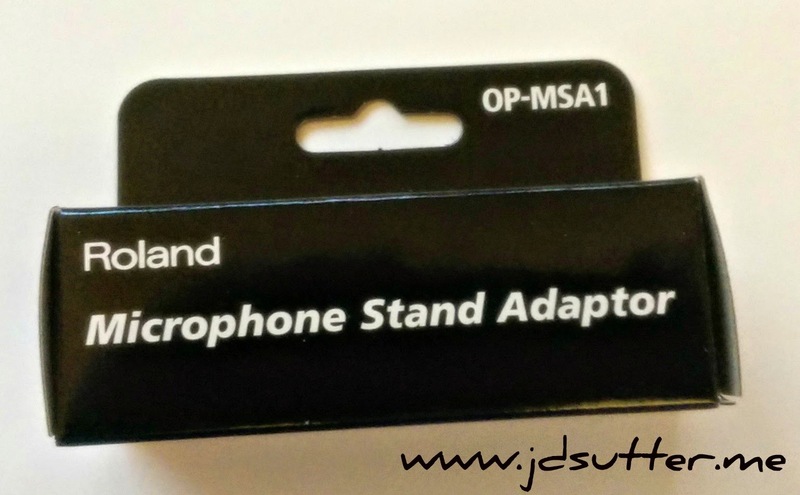 You can grab the OP-MSA1 Mic Stand Adapter from Amazon.